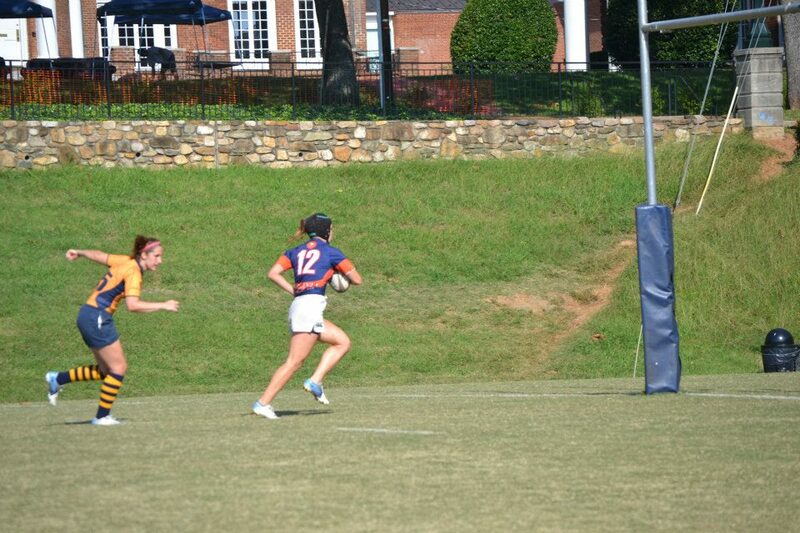 Virginia Women’s Rugby hosted Winnie Chao’s (CLAS 2009) GWU team in 2 friendly matches this past Saturday on Mad Bowl. The “Bad News ‘Hoos” came away with a resounding victory over their very good Division 2 team. We also had a nice pizza social with them on the field before they went to pick Apples at Carter’s Mountain Orchard. A great time was had by all, and we got a lot of good time in for some back-up players who are sniffing A side time. Thanks again, Winnie! Captain Frank on the move!